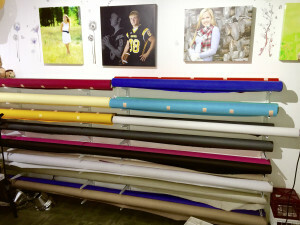 David Hakamaki, Cr.Photog., owner of Cutting Edge Photography in Iron Mountain, Michigan, will be a featured speaker at The Photography Show at the NEC Convention Center in Birmingham, UK in March 2019. The Photography Show is the UK’s largest photography convention and has world class speakers and photographers from around the globe. 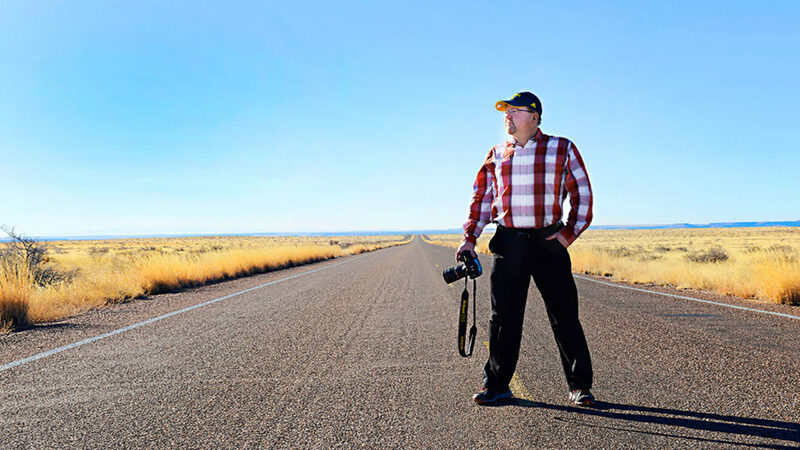 David’s topic is “Chasing the Unicorn: Being Successful in Photography” and will discuss ways photographers can make their photography business more successful. David is an internationally recognized speaker at Photography Conventions on a variety of topics, including HS Senior Portraits, Lighting, Business, In Person Sales, Social Media, and Lighting. Follow David on social media on Instagram at http://www.instagram.com/davehakamaki or on Twitter at http://www.twitter.com/davehakamaki. David Hakamaki, owner of Cutting Edge Photography in Iron Mountain, will be speaking at the Wedding & Portrait Professionals International WPPI 2017 photography convention in Las Vegas. 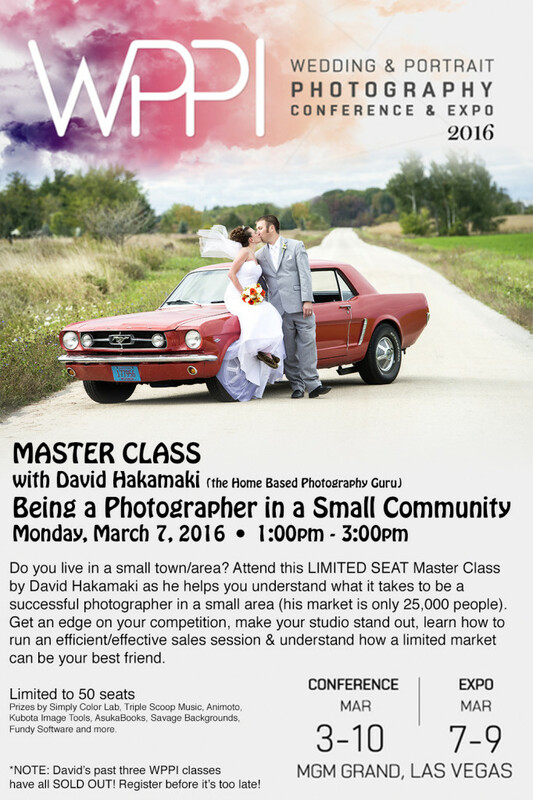 David Hakamaki, owner of Cutting Edge Photography in Iron Mountain, Michigan, has been invited to be a featured speaker at the Wedding & Portrait Professionals International (WPPI) 2017 photography convention in Las Vegas on February 8, 2017. 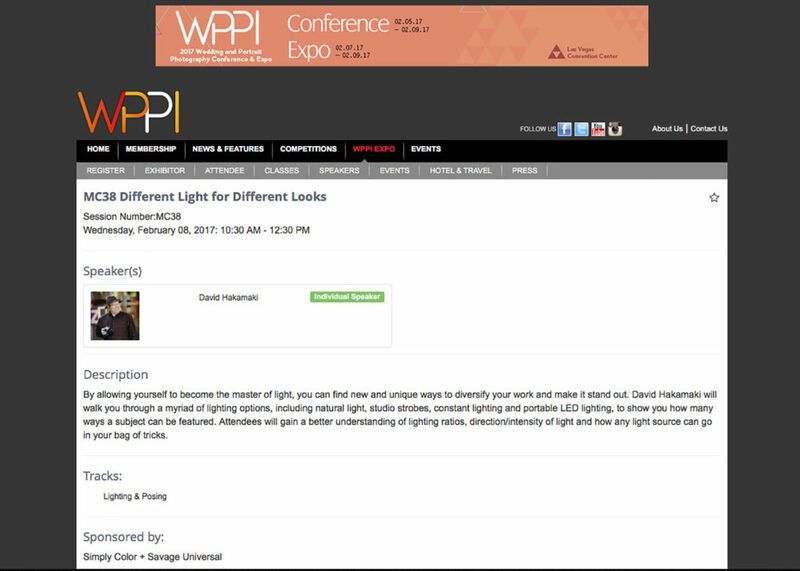 David will be presenting “Different Light for Different Looks“, which will be an advanced Master Class on lighting. His program is sponsored by Simply Color Lab and Savage Universal. 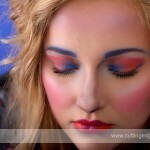 David’s work has become known for his unconventional use of different lighting to create unique looks. 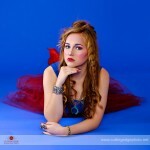 He has incorporated LED continuous lighting, strobes, speed lights, and natural light into his senior portraits, weddings, models, youth sports teams, professional portraits and commercial photography. His expertise has also extended to reviews of products, including a recent article he authored on two new continuous lighting products by Savage Universal – their 2000 watt Location Kit and Cobra LED Interview Kit. David is also a national speaker on business, marketing, and motivational topics and information on these items can be found at his website at www.theglobalspeaker.com.